Pentax 645Z Review - Is the Price Tag Worth the Investment? →Pentax 645Z Review – Is the Price Tag Worth the Investment? Pentax 645Z Review – Is the Price Tag Worth the Investment? Traditionally, film photographers have had access to cameras that capture images in either the 35mm format, medium format or large format cameras. In general, the larger the format, the better the image quality with the 35mm format being the smallest format and the large format being the biggest. Photographers using digital cameras have access to a number of smaller formats found in various “point and shoot” and entry-level digital cameras, as well as the full frame format, which is the 35mm format. While medium format digital cameras exist and there are digital backs for large format film cameras, these have traditionally been out of the budget’s of most photographers. As a result the camera industry has found ways to cram more and more megapixels into full frame sensors to increase image quality and low light capabilities. However, the image quality and ISO range of the best full frame cameras could never equal that found on medium format cameras. 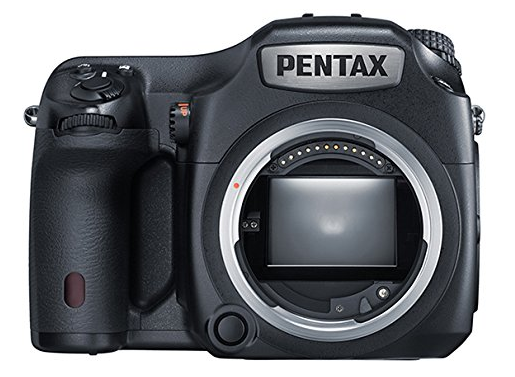 An affordable medium format digital camera just did not exist until the incredible Pentax 645Z was introduced in 2014. 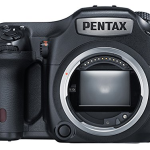 CMOS Sensor: The heart of the 51.40 megapixel Pentax 645Z is the Sony CMOS sensor, which is also used in much more expensive medium format cameras in the market. The sensor, which is 43.80mm x 32.80mm, is huge, when compared to the 36mm x 24mm sensor found in full frame cameras. The sensor in the 645Z is approximately 1.7x larger than a full frame sensor! The large sensor allows the camera to capture images in high detail and low light conditions. ISO Range: The low light capabilities of the camera are impressive with an ISO range of 100-204,800, which produces images that retain detail even in low light situations. This is a result of the large sensor that is capable of capturing more light, resulting in less aggressive noise reduction by the camera’s PRIME III processor as the image is processed. Images captured at high ISO settings are generally very clean, edge-to-edge, even when printed in large sizes. FPS: As one would expect, the speed of the camera, as measured in frames per second, is not great due to the size of the images being captured at 51.40 megapixels. That being said, the PRIME III processor is still able to process images at 3.1 frames per second, which is more than sufficient for landscape and portrait photography, as the Pentax 645Z and other medium format cameras are not meant for action or sports photography. Once you get use to the slower shooting speed, it becomes a non-issue. Automatic or Manual: This is an experienced photographer’s camera and can be shot either fully automatic where the camera sets the shutter and aperture automatically or aperture priority or shutter priority. The photographer has the ability to shoot completely manual as well. One of the best features on the camera was its ability to record up to three custom settings for immediate recall, which allows the photographer to quickly pull up their favorite settings depending upon the situation. In addition the camera also has various other settings in its “creative exposure modes”, as well as HDR capabilities. Autofocus: The autofocus system in the camera is excellent and has 27 autofocus points distributed in the optical viewfinder, which is bright and provides 98% coverage. The camera’s autofocus points are mainly cross sensor type, with only 2 of the 27 points being line sensors. In practice the autofocus was quick and accurate. Construction: One of the most impressive features of this camera is the build quality of the camera. It is professional grade in every way, with a full magnesium shell covering the camera’s aluminum chassis. The 645Z also incorporates extensive dust and moisture protection with 76 points having seals. This camera is at home both in the field as well as in the studio. File Types: Other notable features of the camera include the ability to capture images as JPEG, RAW or TIFF files, which are recorded on SD, SDHC or SDXC cards stored in one of the two slots on the camera. The shutter speed ranges form 1/4,000 to 30 seconds, which is typical of most cameras. The 645Z does not have a built in flash, nor does it have GPS or WIFI capability. The camera can be operated from a computer via a USB cable and can be operated via a Smartphone if a FLU card is used. The tilting 3.2” rear LCD display is very clear, bright and functional in the field. In cases where the photographer does not ant to use the viewfinder, the rear LCD is capable of “Live View”. One of the other interesting features of the 645Z is the inclusion of a tripod socket on the bottom and side of the camera. This would allow a lighter tripod, without a heavy swivel head, to used in the field. Video: The video capabilities of the 645Z are impressive with the ability to shoot HD video in either 1080 x 1080 or 1280 x 720 format at various speeds. The camera can accept an external microphone attached to a dedicated jack. Video files are stored as MOV files and up to 25 minutes of video can be recorded at a time, which is significantly longer than many cameras. Weight & Dimensions: One thing to keep in mind with the 645Z is that it is a big and heavy camera, even without the lens. It measures 6.1” x 4.6” x 4.8” and weighs 54.9 ounces. That being said, it stills feels great in the hand when shooting handheld and is well balanced. If I were going to be using one in the field on a regular basis, I would definitely invest in a suitable camera bag or camera backpack to carry the kit around, as it is heavy! In the field a lightweight tripod or monopod would make for a more enjoyable experience for extended shooting times. Lens Compatibility: As with all camera systems, it is important to look at the lens lineup from both the manufacturer and any 3rd party manufacturers before investing in any system. Currently, Pentax has 18 lenses that are compatible with the 645Z. They include a mix of prime and zoom lens raging from 23mm to 400mm. Most will find the lens lineup more than suitable. Menu System: The only real downside to the camera may be the menu system, which can be a bit confusing and counter intuitive at times. That being said, I was able to get up and running with it relatively quick when I tried it. I am sure most of the confusion could be avoided by simply reading the manual, but many photographers use the trail and error approach to figure out cameras and toss the manual in a drawer. I know I do anyway! While most serious photographers look at image quality over technical specifications, many feel that the specifications are equally important. The Pentax 645Z has excellent image quality, as well as technical specifications, which are shown in the table below. *Information from Ricoh website, including pricing. In conclusion, the Pentax 645Z is a truly amazing camera and at a suggested retail price of almost $8,000 ([easyazon_link identifier="B00LHWDZUC" locale="US" tag="thecameraguide-20"]cheaper here[/easyazon_link]) it is quite a value, especially when compared with the cost of other medium format cameras on the market such as the Hasselblad H4D-40. Even those looking to get a high-end full frame camera system such as the Leica M-P, should look at this camera as an alternative. If you are a landscape or portrait photographer and demand high-resolution images suitable for large prints, this is the camera to get. Even the best full frame cameras will seem like a “point and shoot” camera in comparison to the Pentax 645Z. Once you go medium format, you will not go back! Pentak K3 Review – What’s to Like, Dislike About it? Pentax K30 vs Nikon D5200 – Which is the Better DSLR? Review: Is the Canon G7 Still Relevant? Canon 60D Review – Is the 60D a Good DSLR? Canon Rebel T5 Review – Is the Rebel T5 a Good Entry Level DSLR? Fujifilm X-T1 Review – Is the X-T1 Worth the Money? Canon 7D Mark II Review – Is the 7D Mark II Worth the Money? A camera geek and freelance photographer, Robert (Aka "Rob" or "Bob") spends way too much time examining the finer points of cameras. Photography guru, reviewer of photo gadgets, gizmos, and wizardry. I also blog about this. Garmin VIRB vs GoPro: Which Brand Should You Trust? The Canon PowerShot SX530 HS: A Better Point and Shoot Camera?